PhilSTAR TV’s premier motoring sho WHEELS goes for the long drive this Thursday, May 5, with an episode designed to tackle different aspects of driving long hours and distances. Join Ulysses Ang, Manny Delos Reyes, Angel Rivero, Kap Maceda Aguila and Matteo Guidicelli as they take on different challenges of long-distance travel. 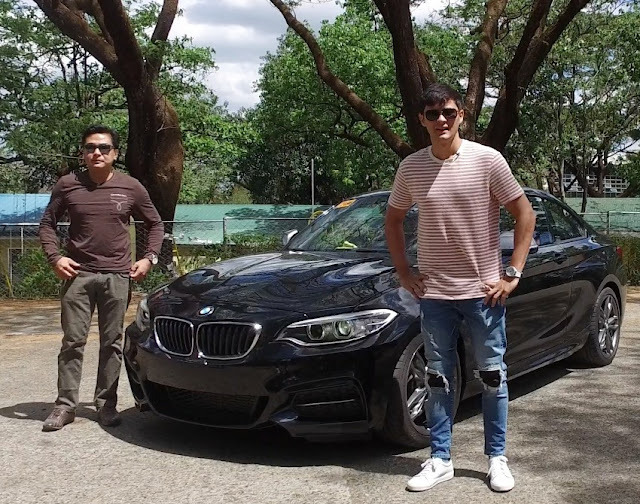 Matteo and Manny go on the long drive aboard individual BMW M235i coupes. Learn why this coupe is not just sporty, but also powerful and fast when driving along great distances. Uly preps himself for the long drive and will share tips on how to prepare yourself and your car for long-distance travel. For commuters, Kap explores the Luxe Bus from MAN. Find out the luxurious travel confinements the Luxe Bus has to offer and why it’s the bus companies’ top pick for deluxe buses. And, for those who love to travel with their pets, Angel tries her hand at removing pet hair from cars. It’s all these and more on the third season of Wheels, your guide to life on the fast lane. Catch it every Thursday, 10:30 p.m., on ABS-CBN Sports + Action Channel. You can also follow Wheels on facebook.com/PhilStarWheels.